Last night I watched the BBC Panorama programme on Ryan Air – an airline that manages to be at the same time successful but hugely unpopular. Funnily enough it coincided with the BBC World’s Fast:track programme, with a segment (featuring yours truly) about how you can use social media to complain about travel experiences. 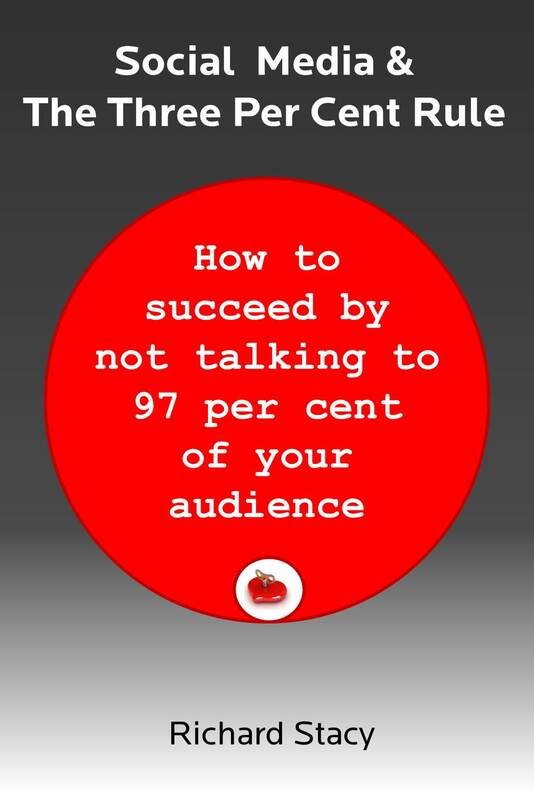 One of the companies featured here was Ryan’s Air’s rival Easyjet, show-casing their success in monitoring and responding to customers in Twitter – an approach to customers that is the polar opposite of Ryan Air’s. Ryan Air and Easynet make for a fascinating comparison when it comes to looking at the power of stories and how they can be used to drive businesses. The product of Ryan Air and Easyjet is basically the same (low cost airline), their propositions are very similar (price based) but their stories are vastly different, although still based around the price proposition. The Easyjet story could be summarised as “You only pay for what you want” whereas the Ryan Air story is “You only get what you pay for”. Both organisations have built very strong, compelling and credible stories around this. The result is that, given a choice (i.e. same price, time and destination) the vast majority of people would choose an Easyjet flight. This is because the Easyjet story is warm and inclusive and about giving power to the consumer. The Ryan Air story is hard, brutal and manipulative. Why, therefore, is Ryan Air so successful? Michael O’Leary – boss of Ryan Air – has made the hard calculation that this difference doesn’t matter because the operational efficiencies he can get by driving his business around his unfriendly story outweight any negative customer sentiment. This is because he is in a market that is highly price sensitive but where everyone knows that basic product standards cannot slip below a certain level because of airline regulation. You could also say the Ryan Air story is more effective – in the sense that is absolutely pervasive across the organisation. It informs the way it treats staff, aircraft manufacturers, airport owners. Ryan Air is therefore almost universally despised and feared in a way that Easyjet is not necessarily universally loved. Who has therefore got the best story? At the moment, you could say the numbers favour Ryan Air. It is not a nice story, but it is effective. However, it is a story that is tailored to a business that has grown by creating a new segment of the market – people that basically didn’t fly frequently before and are prepared to put up with anything in pursuit of a cheap deal. However, air travel is probably never going to be signifiantly cheaper than it is right now because pretty much all the surplus costs have been squeezed out of the model. All that can happen going forwards is cost increases driven by energy shortages and various additional taxes imposed by governments seeking to meet emissions targets. While this will make price even more important, it will hit hardest those people that Ryan Air has built its growth upon. At the same time, many of the new frequent-flyers that Ryan Air has created are going to becoming more sophisticated and discriminatory. These factors will favour a softer, customer-centric “only pay for what you want” story away from the brutal “you only get what you pay for” approach of Ryan Air. 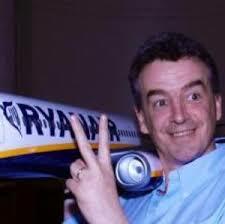 So my money is on Easyjet for the long-term, but Michael O’Leary has probably got a few miles left in the tank.